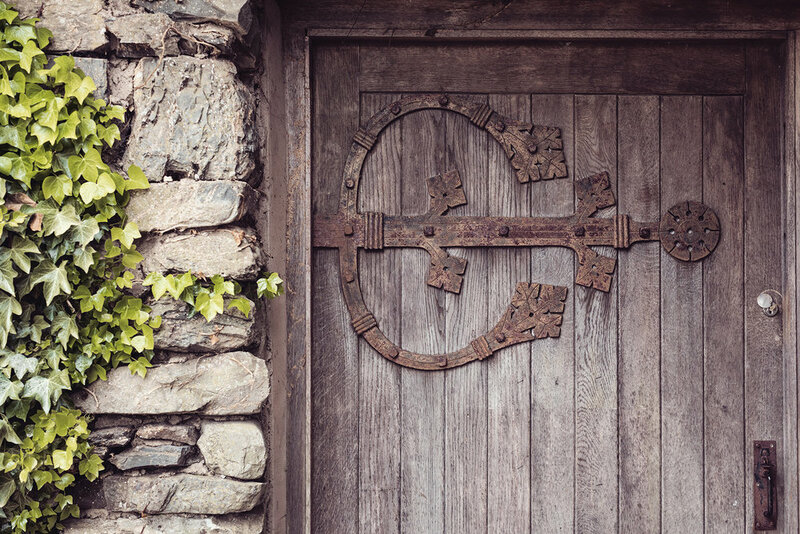 Paddock Barn is a beautiful, rustic family run wedding venue situated in 35 acres of The Lake District. Our threshing barn has exposed beams lit with fairy lights, a log burner for chilly evenings and a home made wooden bar serving delicious local drinks to your family and friends throughout your special day. Outside, the field offers a perfect setting for outdoorsy or festival weddings with plenty of space to pitch a Tipi or Marquee. Put simply, we have a Barn and a Field set in some of the most beautiful surroundings The Lake District has to offer - you can rent all this exclusively and have total creative control over your big day. Threshing Barn with 2 separate rooms, one for the ceremony and and adjoining dining room for up to 85 for eating (120 evening), Both rooms are blank canvases - just white washed walls, exposed beams, hanging ivy and fairy lights, ready for you to put your stamp on it. Cash Bar Service We provide the bar service with two options: Cash bar on the day, or all inclusive drinks throughout the day and evening. Catering You can choose anyone you like for food and we welcome them on site. We have a large outdoor, covered wooden gazebo with electric and water hook ups for caterers, and we also welcome Hog Roasts, Food Vans, BBQs etc. Outdoor Area We have a huge field outside the barn perfect for making your own mini festival or chill out area. With unspoiled views across the hills of The Lyth Valley, it's totally flat and perfect for tipi's and marquees. We provide hay bales for seating - just bring some rugs in case it gets chilly! Log Burner complete with fuel in the barn if it's a chilly day! Accommodation - Whilst we don't have any accommodation on site, we have lots of lovely places to stay within a few miles, pubs, b&bs, camping, self catering - you name it, we've got it all! Alpaca Experience - Have alpacas at your wedding! You are free to organise any catering you wish for your big day – we can provide water and electricity & there is no charge for bringing external caterers on to site. We have cash bar and serve your lovely family and friends local drinks from start to finish. Drinks packages can be tailored to you if you'd like to buy your friends a tipple or two. Please note we do not accept cards - cash only. Our lovely friends at the Old Corn Mill offer 21 bedrooms for your guests for the whole weekend - they are located 2 minutes drive from our venue and we can organise a shuttle services for your guests to and from the venue. We’re passionate about the beautiful area we live and totally committed to supporting our local businesses and tradespeople and we’re lucky enough to be spoilt to have some of the very best suppliers in the country right on our door step. Caterers, Make Up Artists, Stylists, wedding dresses, cakes, entertainment, accommodation, transport, ice cream vans, magicians – you name it we can direct you to the very best in our local area. We provide the Barn with 75 seats for the ceremony which is fully licensed to hold the official service. 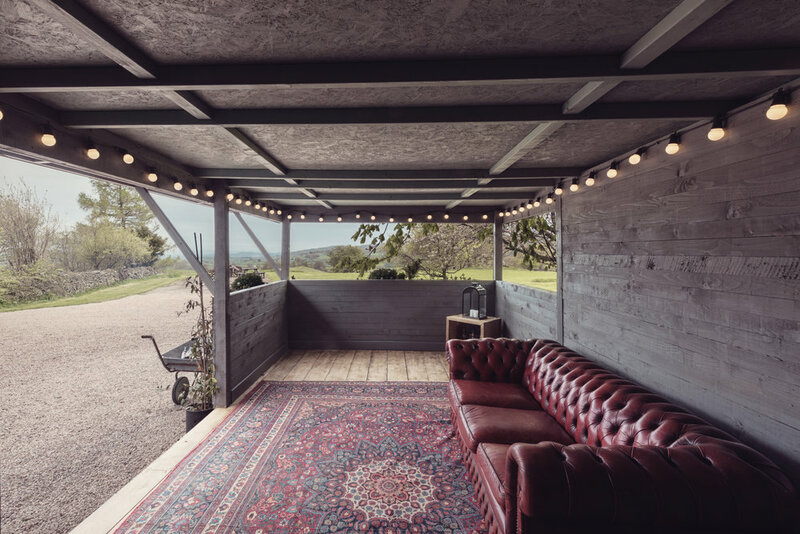 The barn is very much a blank canvas for you to put your own stamp on, we provide drop lighting, fairy lights and ivy to decorate the eaves then the rest is up to you. The entire venue is rented exclusively for the time agreed. We welcome you on site the day before for up to 6 hours to decorate and the day after for 4 hours to clear down. As we are an exclusive hire venue we cannot allow visits on to the site without appointment in case we are hosting another event. We can be available if you’d like to come and view the venue at short notice. We have capacity for 8 cars parking on site. We have an amazing in house DJ who can tailor your play list with you before the big day. Alternatively if you’d rather provide your own entertainment we are happy for you to arrange this separately. Please note: Music must be switched off by 11pm. Amplified music in the barn only. Our beautiful venue is in the middle of many working farms with cows and sheep roaming freely therefore we cannot allow dogs on site under any circumstance. We can provide a list of Taxi numbers and minibuses in the local area - we’d recommend pre-booking. ***** What an absolutely, incredible location for a rustic, barn wedding. We got married here on the 7th July, and it was stunning & unforgettable - thanks in large part to Paddock Barn. It was such a fantastic find, and the best decision we ever made. The location and the surrounding countryside is mesmerising, and the atmosphere on the day was absolutely amazing - every, single guest commented on how amazing the venue was. They all asked how we found it. And no-one wanted to leave. It couldn't have been any more perfect, our guests fell in love with Paddock Barn, and even those who 'weren't sure' about a barn wedding, said the romance and the atmosphere was amazing and they wouldn't have had it any other way. Most importantly, a HUGE thank you to Meg and Lee. You guys are just......WOW. If you'd told us what you'd do for us before hand, we wouldn't have believed you. You were both absolutely incredible, and again, every single guest commented on what an amazing job you did. From the advice and guidance beforehand to the running of the big day - you were fantastic throughout. When can we do it all again? ***** We held our wedding and reception at Paddock Barn on the 9th June. It truly was the most magical day and the venue genuinely made it. Lee and Megan couldn’t help us enough throughout the planning process. They made some wonderful suggestions and held my hand through all the decision making. They were incredibly helpful on the day and ran everything like a dream. Our guests absolutely loved them and said how friendly they were. They dressed the venue beautifully and have impeccable taste. It truly is a unique location. The paddock and view is just incredible and our guests were totally blown away. It was the most relaxed, personal day - our guests were full of compliments and Paddock Barn totally stole the show. I cannot recommend this venue enough for anyone lucky enough to be planning their wedding - I wish I could do it all again! ***** We were lucky enough to attend a wedding at your venue yesterday. We had a fantastic time- the setting is absolutely incredible. The work you have put in to the decor of the reception room and the location for the ceremony, as well as the “wed shed” is a credit to you as it is all just beautiful. The whole day was super relaxed and I’m sure made easy for all the wedding party and guests by your quiet but efficient presence.